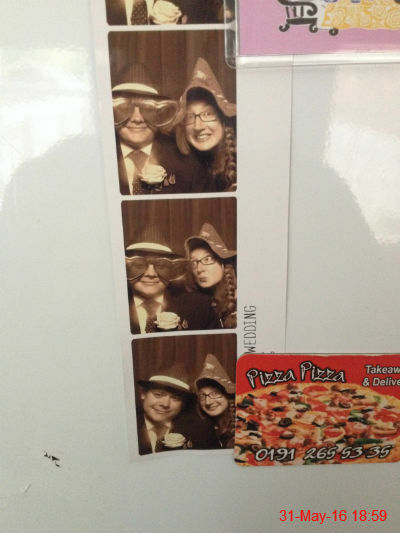 Here are our photos from the Snaparazzi booth at the wedding the other day. I went for a German Biergarten themed hat, which just ended up making me look like a witch! 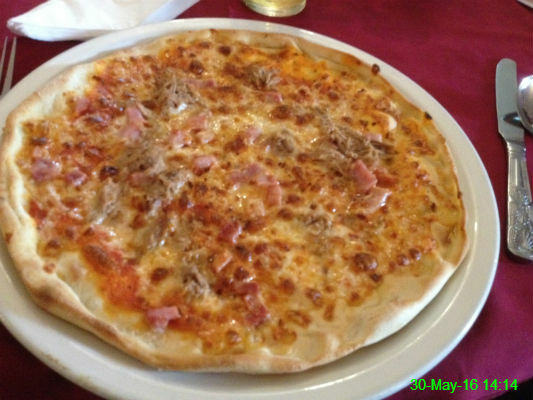 It's a long time since I had a ham and tuna pizza so I got one today from Sambucas. 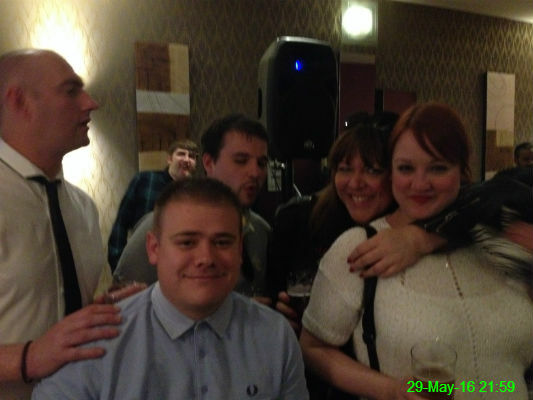 I joined Paul, Michael, Neesy, Kay and Ali for another night of Britpop music at Eye on the Tyne. It involved dancing, red wine and a zebra, amongst other things. 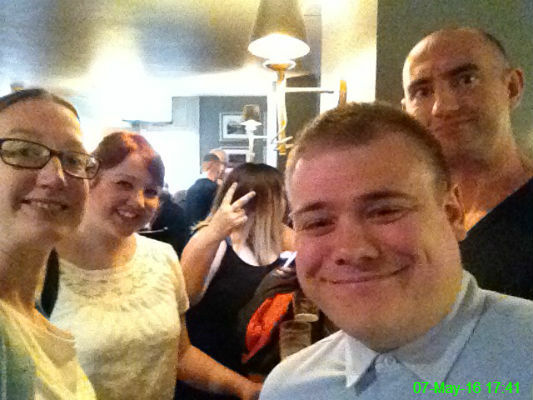 Even the DJ wanted to be in the photo! 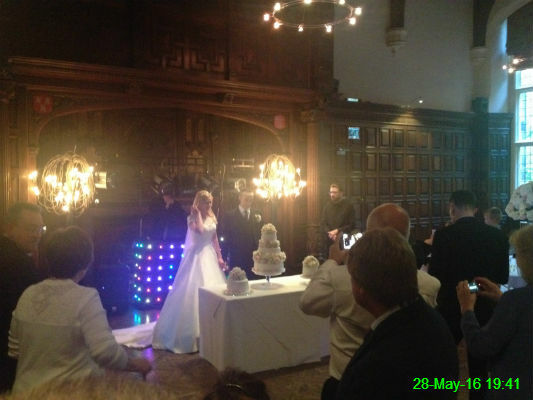 The long awaited day arrived and we spent the day at Jesmond Dene House for Matty and Abby's wedding. Due to the number of excellent photographers in attendance I didn't take many photos myself, but here are the happy couple shortly before they cut the cake. 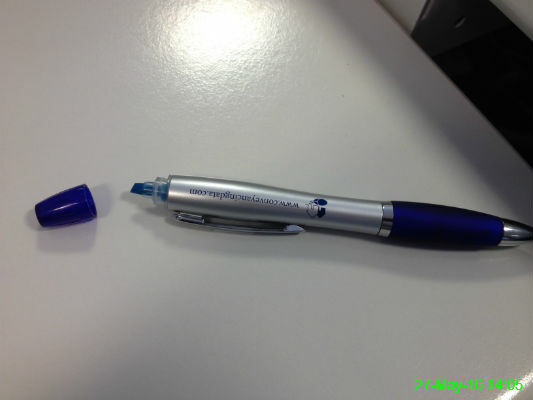 I have a habit of dismantling pens while I'm waiting on hold on the phone and today I was surprised to find that taking the end off my pen revealed a highlighter. Now I feel like this should be a feature of every pen. I don't know why I bother entering sweepstakes at work, because I never win anything. I can't imagine my luck will change this time, as I've drawn Austria to win Euro 2016. 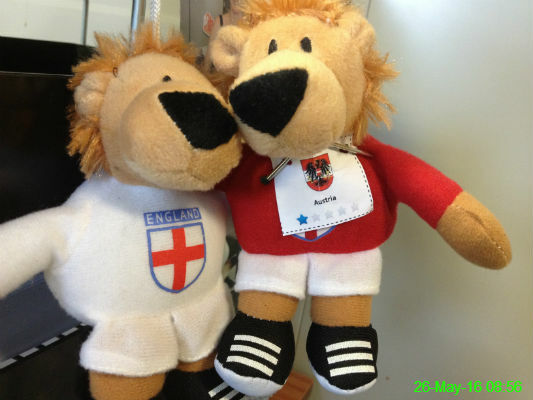 One of my England lions has been sacrificed to show them some support. This month's book for Book Club is Small Gods by Terry Pratchett. 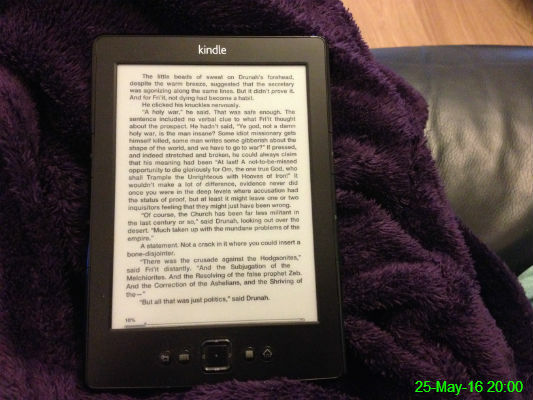 Michael already had it on his Kindle, so I'm eventually using an actual Kindle device rather than just the app on my phone! 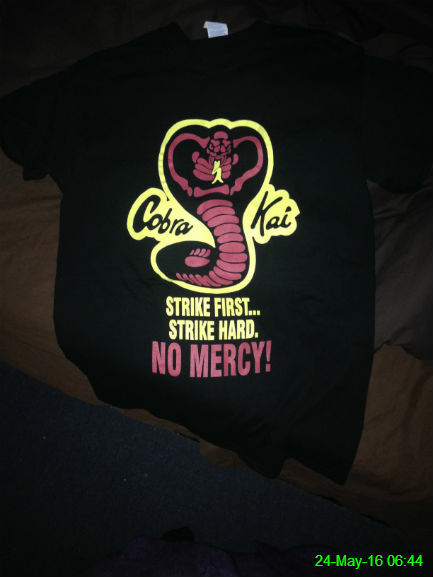 This t-shirt, which is based on The Karate Kid, was an impulse buy that has taken around a month to arrive, meaning I'd all but forgotten I'd ordered it. 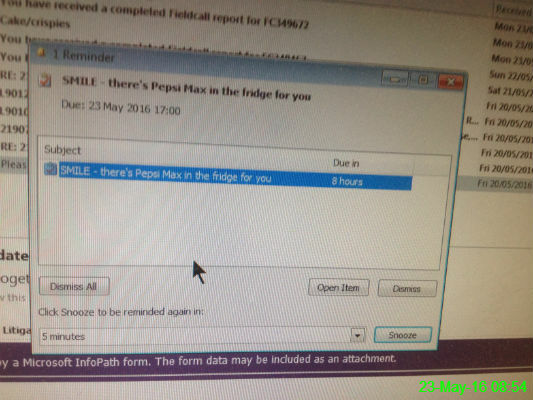 I got to work and was pleased to recall setting this reminder to inform me there was Pepsi Max waiting in the fridge for me. It went a long way towards easing the Monday Blues. It's always worth a trip to the Benton Ale House to see what this band can rustle up and today was no exception. 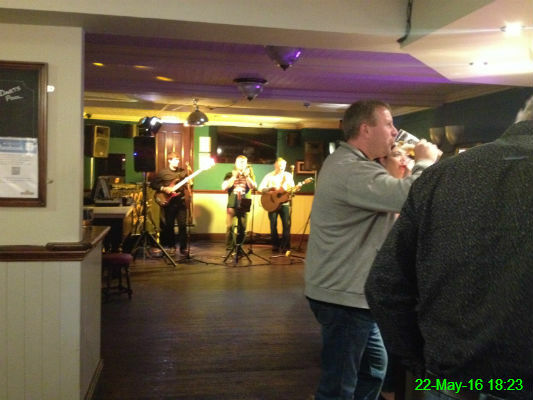 I joined Michael, Ali, Mam, Chris, Rob and Jan for a few hours of excellent live music. By complete chance, this photo was taken at the same time of day as yesterday. For the first time in ages I decided to have a quiet Saturday night in the house with some wine and music. 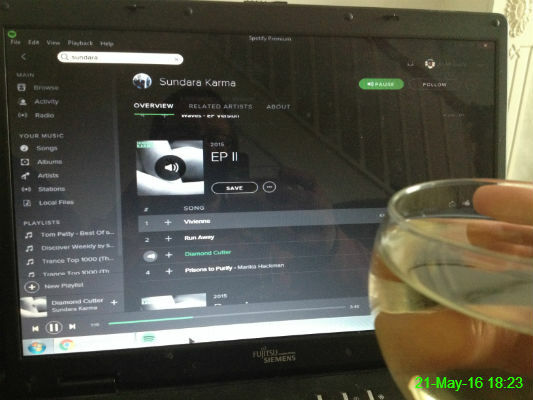 I fired up Spotify to listen to Sundara Karma, a band recommended by Dave (very good!) with the FA Cup Final on in the background. 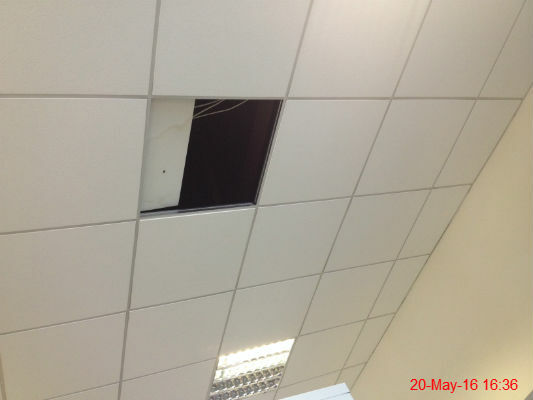 The ceiling at work was leaking the other day so the caretaker came and pushed this panel to one side, said he couldn't see anything, and asked us to let him know if it got any worse. It hasn't, but it seems as though we're stuck with this gap now. I've seen too many horror films so I keep expecting a creepy face to appear from the darkness. 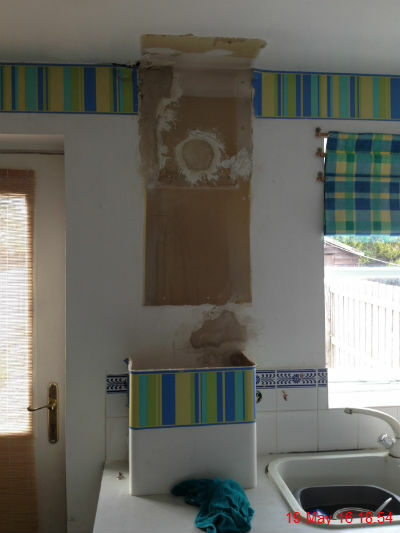 We got a new boiler fitted today (in the loft) so there's now a rather unsightly area on our kitchen wall where the old boiler was, which will need decorating! I don't usually shop the day before payday but it seemed a good opportunity to find a dress for Matt and Abby's wedding. It didn't take me long to get sorted and it definitely doesn't look this limp and shapeless in real life! I was a big fan of Spot the Dog as a child so anything yellow had to be linked to him in some way. 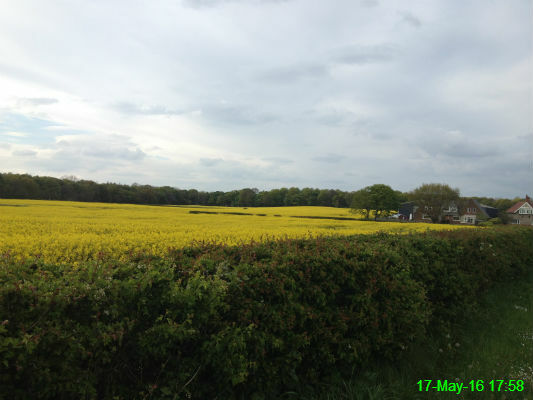 In particular I always called these fields "Spot's Fields". It certainly sounds nicer than rapeseed. 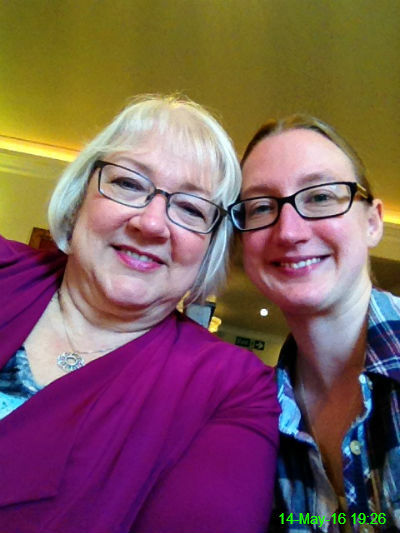 You might remember this photo, from Mam's birthday last year. This one was taken the same night, and I finally had it framed recently. 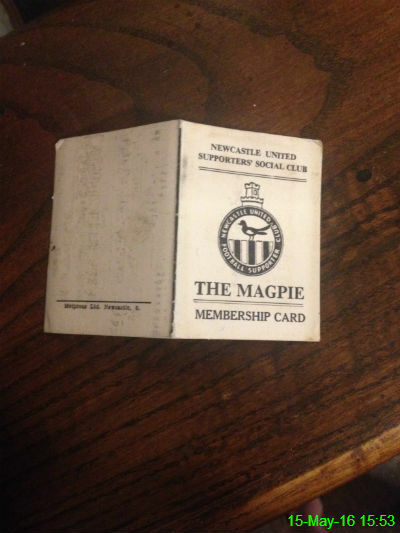 I asked my Uncle Keith if he remembered a bar/club called The Magpie but I wasn't expecting him to produce a membership card from his wallet! 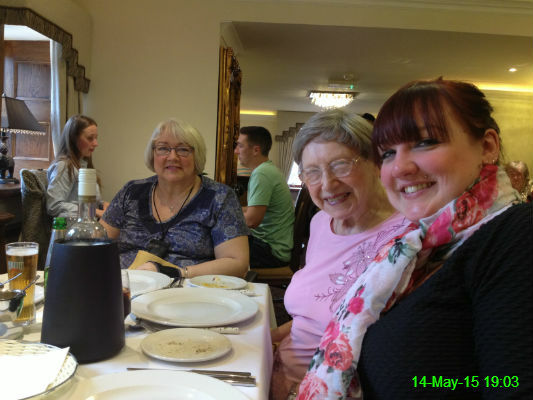 We had a brilliant family meal at The Last Days of the Raj to celebrate Mam's birthday. Surprisingly, I am able to describe myself as a Competent Person. 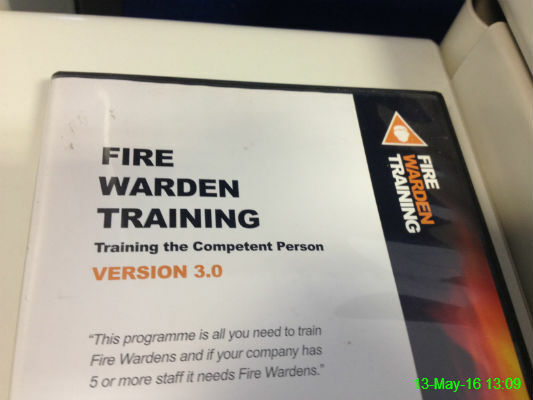 I had to update my Fire Warden training and scored 100% on the test. 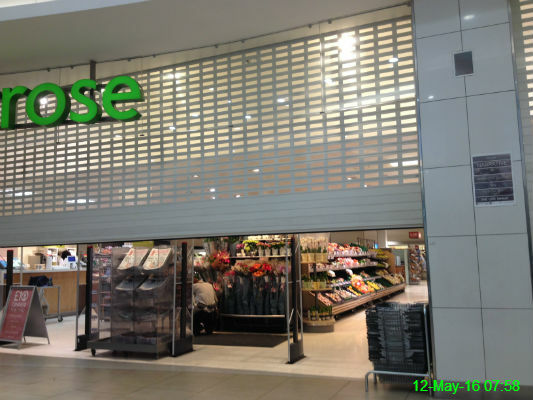 I was extremely early for work today, so I waited for the shutters to open at Waitrose to have a wander around. Here are some gym balls. 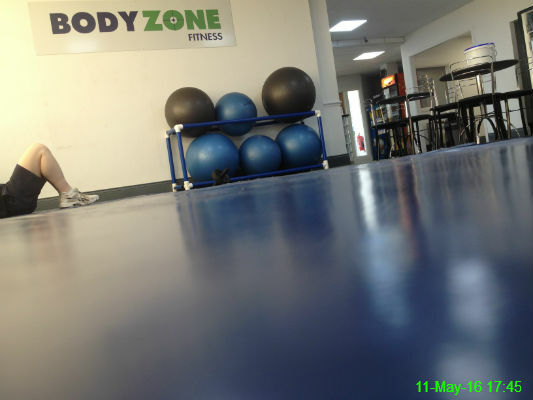 And a random man's legs - sorry! 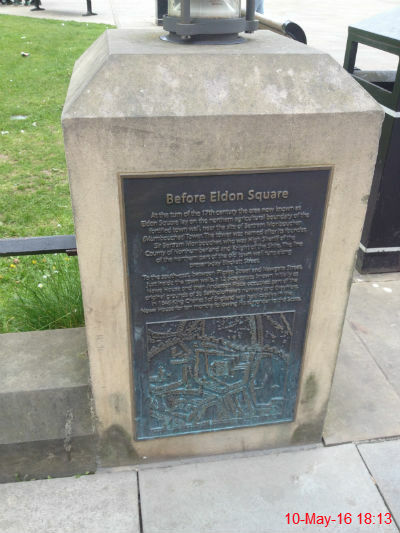 I spent a brief moment reading some local history before getting on the bus home from town. 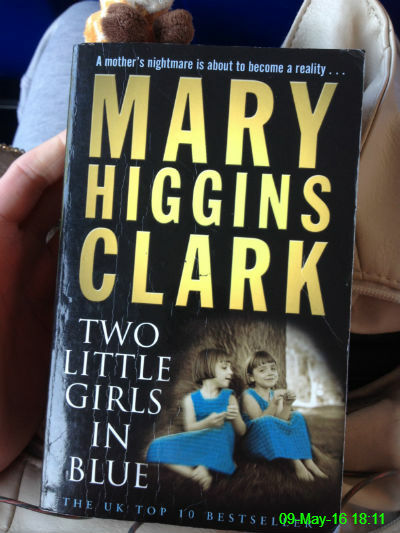 I finished this today and enjoyed it a lot. 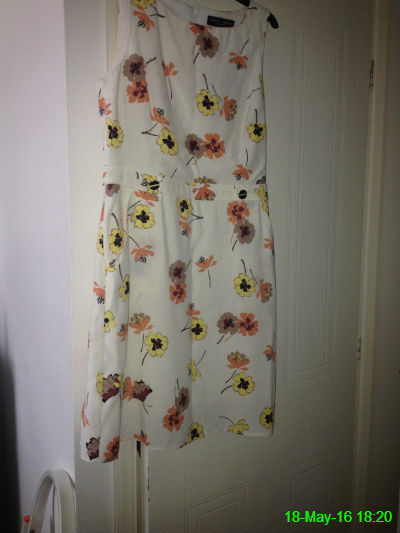 It was a steal for 40p! 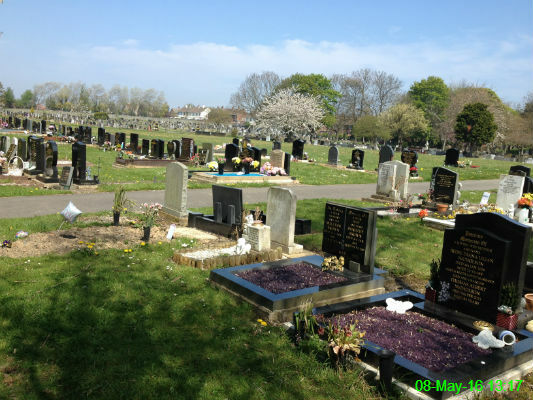 As yesterday was the 10 year anniversary of Michael's dad dying, we went to leave some fresh flowers at his grave. 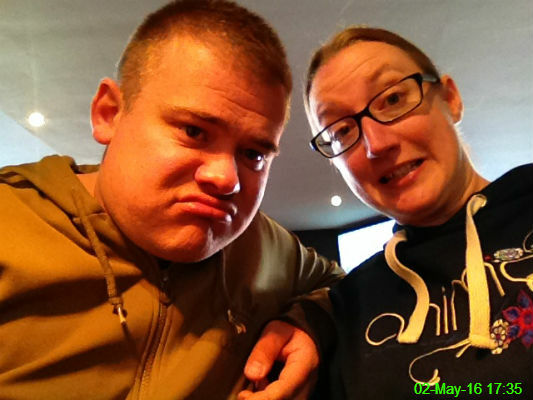 I had drinks in town with Ali, Claire (rude! ), Michael and Paul. Stu was also there, but had done his usual trick of wandering off just as I was about to take the photo! 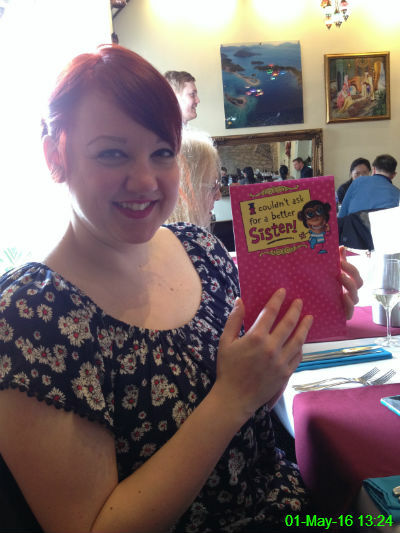 I went to Raj Tandoori with Sara and Fay. The food was tasty and well priced so I'll definitely go back. 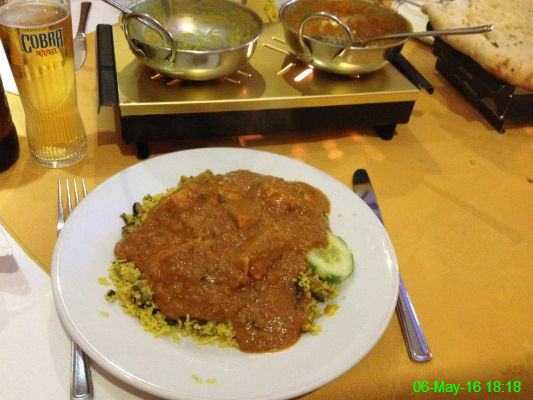 This is my chicken madras with mushroom pilau, and the cucumber that Sara didn't want. When a voucher for 25% off at Matalan came through the front door recently, it seemed like a great opportunity to go shopping for an outfit to wear to a wedding in a few weeks. 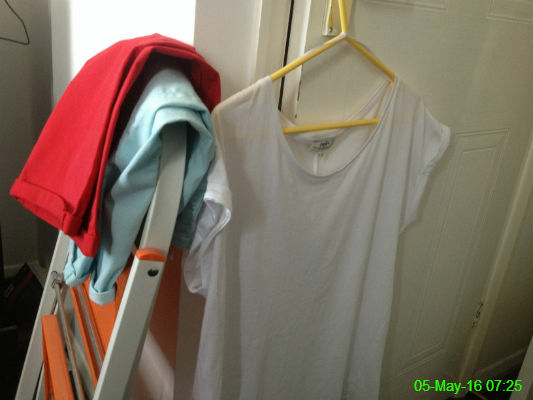 I didn't find anything, but I couldn't let the voucher go to waste, so I bought two pairs of colourful shorts and a white t-shirt. I had to collect a shirt for Michael from Next, which took me on a rare trip to the children's department, which is where their deliveries are handled. 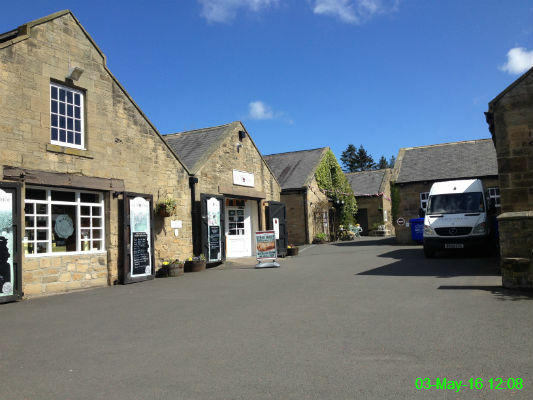 I had the day off work so I joined Mam, Ali, Jane and Christine for lunch at Milkhope. I promise we were happier than we look in this photo! I think I picked a card with a good likeness! 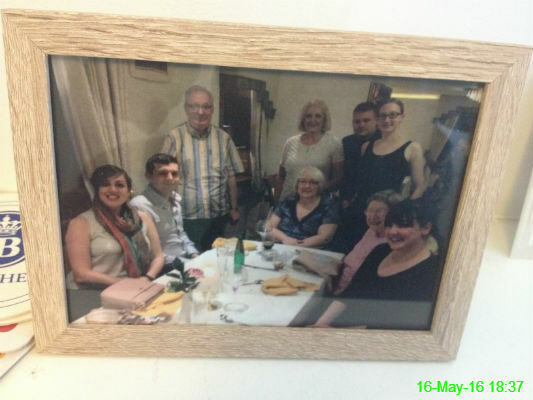 Part 1 of Ali's birthday celebrations took place in Lezzet.